The assault on the house on 30th Street, led by 100 soldiers and police officers, began in the early afternoon. Within hours, the building in La Plata, Argentina - that had appeared from the outside to be a rabbit farm - was almost destroyed, and all but one of its residents killed. The only one to survive was Clara Anahí Mariani Teruggi, who was three months old. Witnesses would later say she had been taken from the scene by those who had led the assault. Clara's mother, Diana Teruggi, 25, was among those killed in the raid on 24 November 1976. Behind the fake front of the rabbit farm, she helped run a small printing press. It produced copies of the newspaper for the Montoneros, the left-wing guerrilla group of which she and her husband Daniel Mariani were members. The group, which formed in the 1960s, conducted kidnappings and assassinations, and were targeted under the military junta that seized power in Argentina in March 1976. A little more than eight months after Diana Teruggi was killed, Daniel Mariani too was tracked down and murdered. Their daughter would never be found, but the search would consume the life of Daniel's mother, Maria "Chicha" Mariani, until her death on Monday aged 94. Baby Clara Anahí was not the only one to disappear in the years after the coup, though the circumstances of how she went missing - snatched during a raid - were unusual. In seven years under military rule up to 1983, at least 500 children were abducted from their mothers in captivity, while about 30,000 people are believed to have been kidnapped and murdered by extremist right-wing groups or the military government. Despite the threat of violence, those left behind - including Clara's grandmother - sought to find the truth. In 1977, art history teacher Chicha Mariani and 11 other relatives of the missing began meeting in secret to discuss how to find their grandchildren. It would later emerge that many of the children had been moved into the homes of military members and their allies. "We were convinced we'd soon find our grandchildren," Chicha Mariani told Spain's El Pais newspaper in 2015. 'We believed that the government would give them back to us. How naive we were. [post_ads]"We even bought nappies, thinking that we would get the little ones back at any time." After those early meetings, the grandmothers started investigating. They would visit orphanages and juvenile courts, look into recent adoptions, and follow tips from the public. In time, they would become known as the Grandmothers of Plaza de Mayo, after the central Buenos Aires square in which they would congregate in front of the government palace. They worked alongside the Mothers of Plaza de Mayo, who had started their own demonstrations in the square, waving white handkerchiefs at those in power. The risks of standing up to the government at that time were clear; three of the founding members of the Mothers of Plaza de Mayo and two supporters - including a French nun - disappeared in 1977. Tests conducted on their bodies years later indicated they had died after being thrown from a great height, most likely in the Argentine military's "death flights", which saw victims thrown from planes into large bodies of water. The search became easier after the end of military rule and with advances in technology. One year after the military was overthrown, an American geneticist helped create a "Grandparents' Index" in Argentina that was able to determine genetic links between a grandparent and a grandchild. 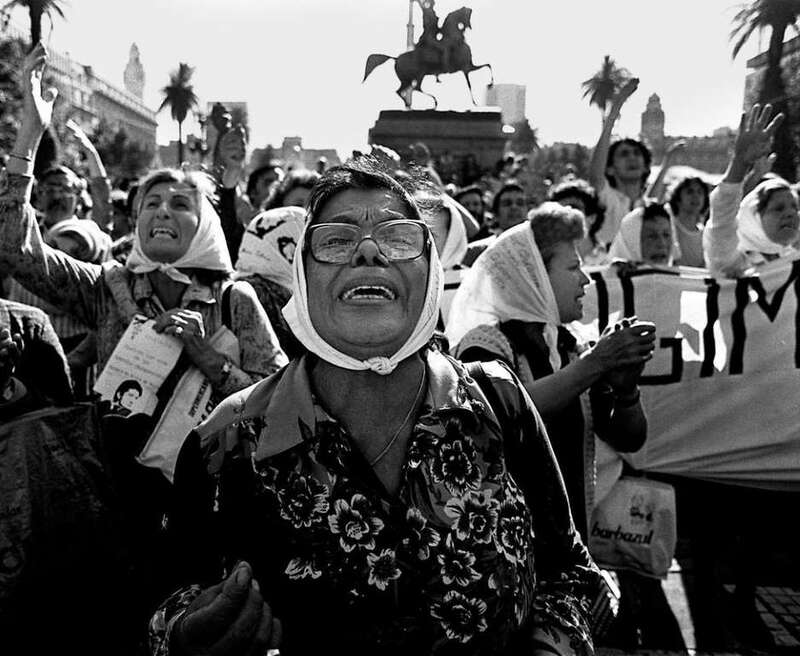 Then in 1987, under Chicha Mariani's leadership, the Grandmothers of the Plaza de Mayo - known as the Abuelas - succeeded in convincing the Argentine government to establish a genetic database for relatives of the disappeared. The database helped reunite dozens of families in its first few years, though Chicha Mariani would not be one of the beneficiaries. 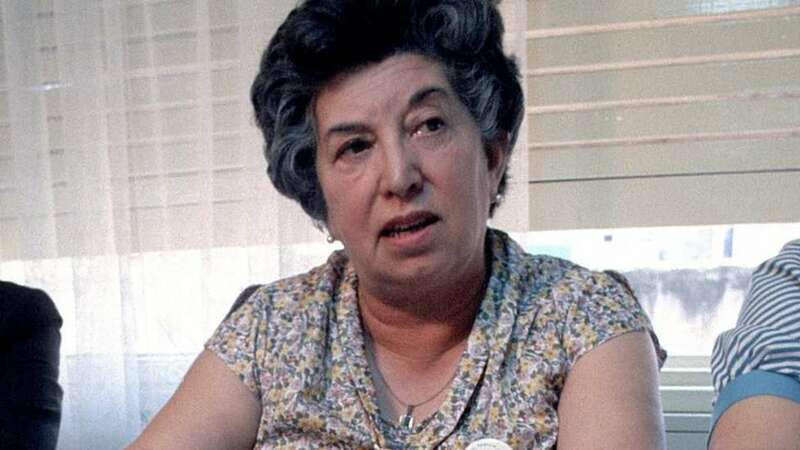 Mariani split with the Abuelas in 1989 and went on to establish the Anahí Foundation, named after her granddaughter, that helps co-ordinate organ donation and transplants. She also opened a museum in the building in which Diana Teruggi was killed, and from where Clara was taken. Its walls remained riddled with bullet holes from the day of the raid in 1976. All the time, however, Mariani had a theory about what may have happened to her granddaughter. In late 1983, she saw a photograph of a girl in a newspaper and immediately thought she recognised her. The girl, Marcela Noble Herrera, was the daughter of the head of the Clarín group, Argentina's biggest media company, that had been allied to the military junta. Marcela, along with her brother Felipe, had been adopted in 1976. "I saw the photos of her in England, France, with presidents and kings, and with the Pope," Chicha Mariani told the New Yorker in 2012. "I watched her grow. She has the same body as my daughter-in-law's mother. And her character seems similar to ours - reserved, modest, sincere, sensitive, and very intelligent." After a long legal battle that dominated headlines in Argentina, Felipe and Marcela Noble Herrera agreed to be tested in 2011. Those tests showed there was no genetic link to Chicha Mariani nor to dozens of other relatives of the disappeared. There was little progress in the search for Clara Anahí in the following years - until a surprise announcement on Christmas Eve 2015. 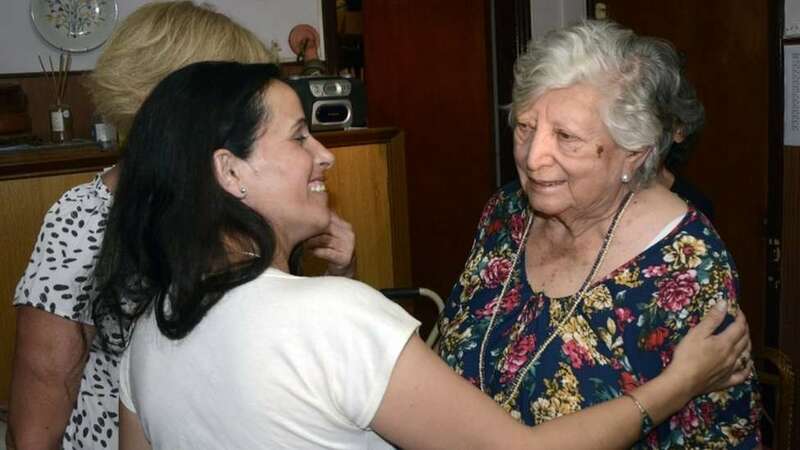 "After 39 years of tireless searching," a statement by the Anahí Foundation said, Chicha Mariani and her granddaughter had been reunited. DNA tests had established a 99.9% chance that Mariani and a woman from the central Córdoba province were related, and they were seen smiling and hugging in photographs. The result, Mariani's foundation said at the time, "fulfills one of the greatest wishes of Argentine society" and President Mauricio Macri tweeted out his congratulations. Two days later, the story began to unravel. It emerged that the tests had been conducted in a private laboratory, and not through the official channels that Mariani and the Abuelas had helped establish. Further tests revealed no match between the two women. Mariani, who was 91 and almost blind, said she was "devastated" by the news. Investigators said the woman who had visited Mariani had learned she was not a match several months earlier. 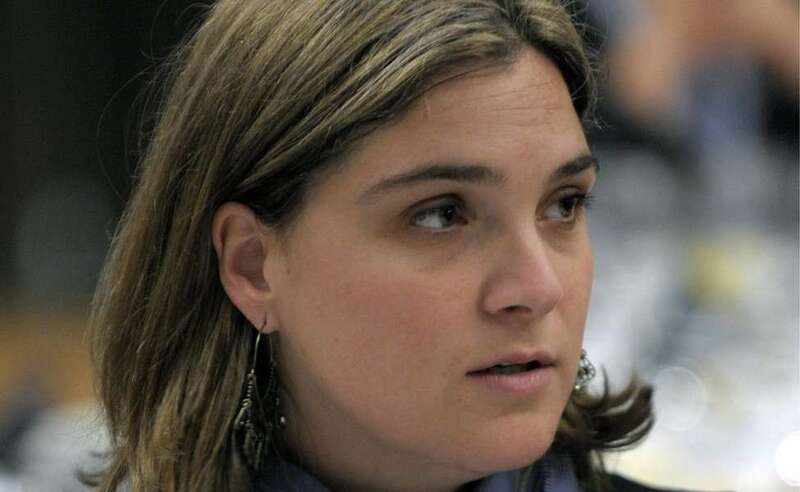 Mariani said she believed this had been an attempt to undermine the work of the Abuelas. The groups continues to encourage Argentines who question their origins to undertake DNA testing. To date, they have succeeded in identifying 126 grandchildren who had disappeared. Up to her death, Chicha Mariani had held out hope for her own reunion, and would often tell interviewers: "I can't afford to die - I have to find my granddaughter." In a tribute to their co-founder, the Abuelas said they would keep searching for Clara Anahí on her behalf.